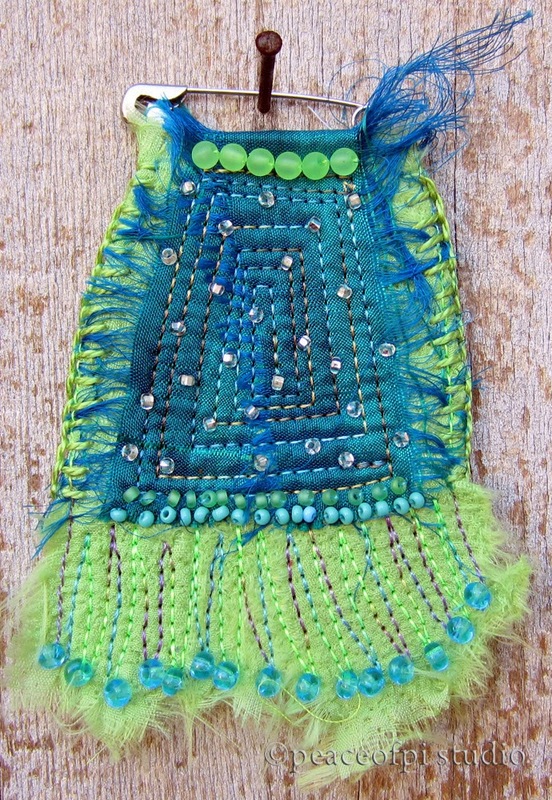 In deep turquoise and bright green, this stitched silk brooch features free-motion stitching and hand beading. It's number 10 in the Silk Threads Series. A bit of hand embroidery at the edges captures a few of the frayed threads but the majority fly wild and loose. The safety pin closure adds a bit of handmade charm to this tiny fiber art wearable.